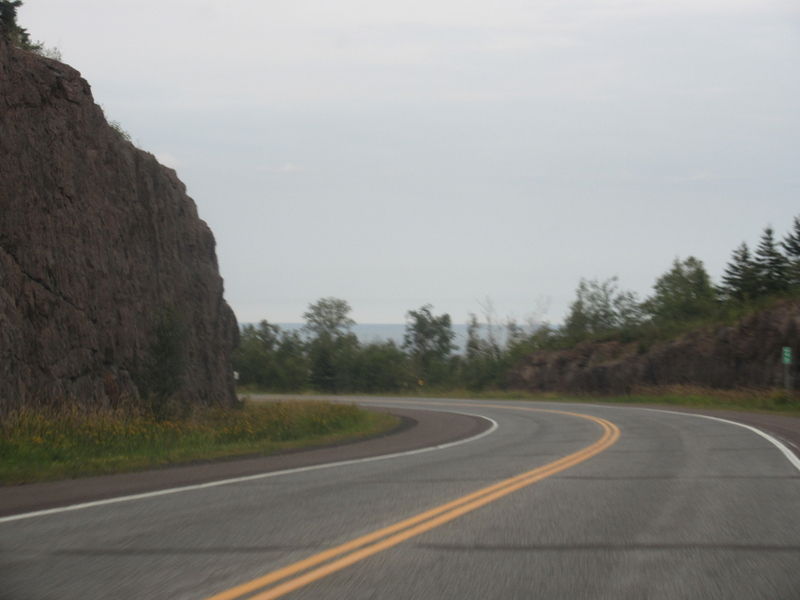 MN 61 with Lake Superior in the background. 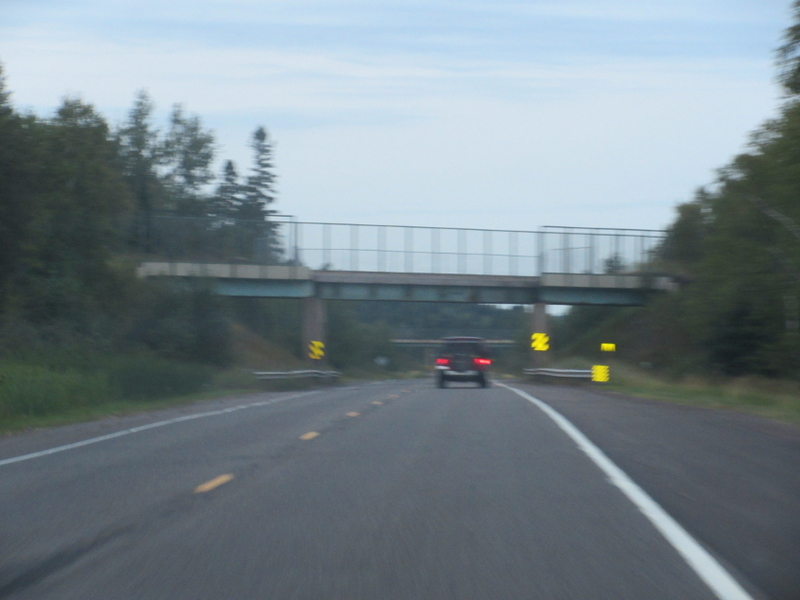 MN 61 again. 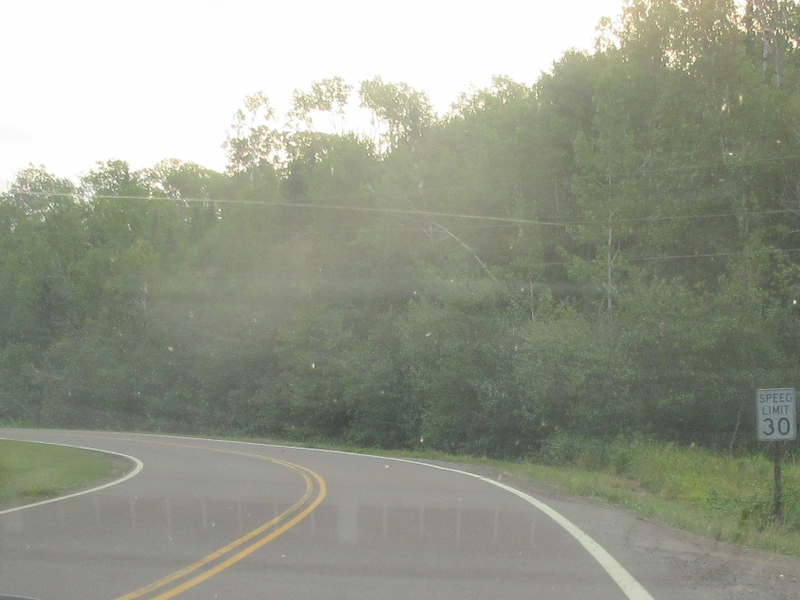 That's probably a snowmobile path at right. 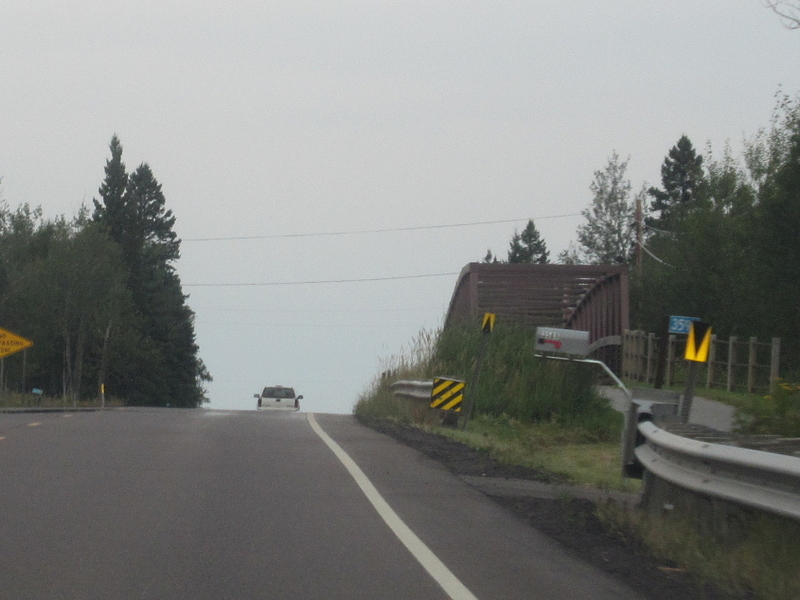 I don't know if the path ever was US 61, or if the bridge dates from that era. 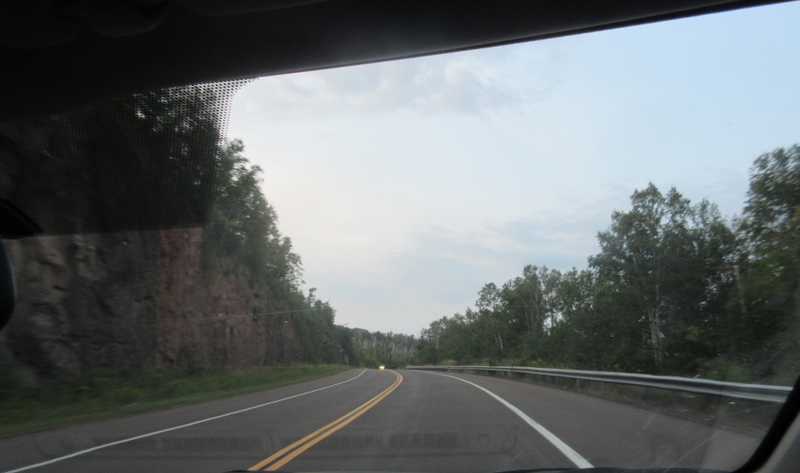 From MN 61, we're looking out over Lake Superior and maybe one of its inlets or outlets or incidents or accidents. 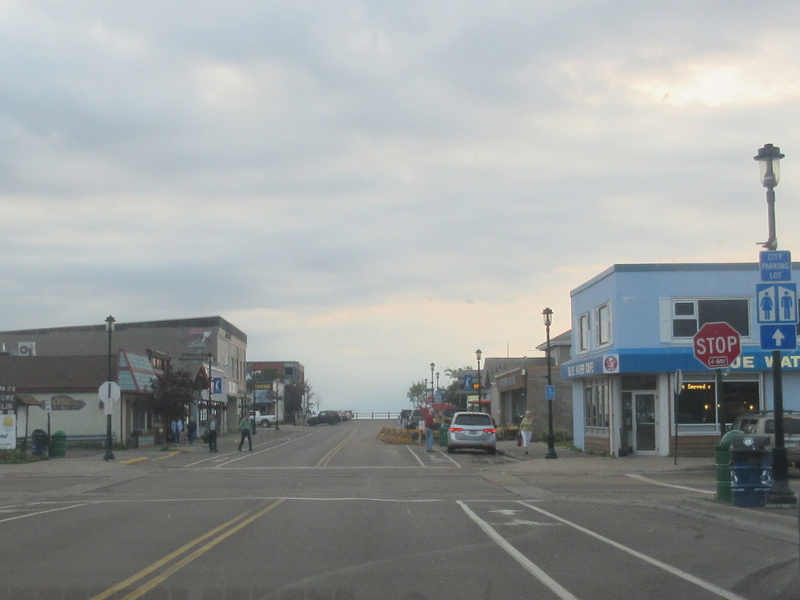 South on 2nd Avenue West approaching Wisconsin Street in Grand Marais, MN. 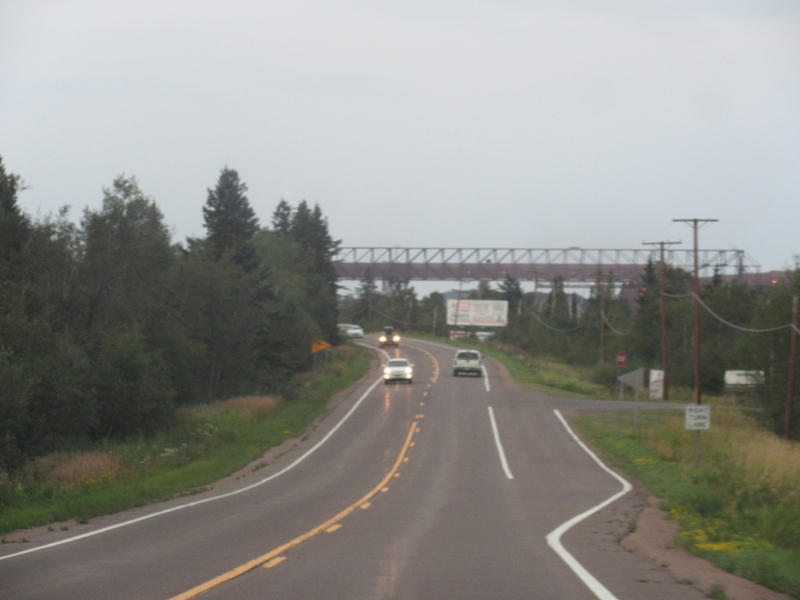 In the backrgound is Grand Marais Harbor, part of Lake Superior. East on Wisconsin Street. I think it's fun news that the sign on the right for the restroom is also marked "CITY PARKING LOT." So the parking lot is the bathroom? Haven't they ever heard of modesty? 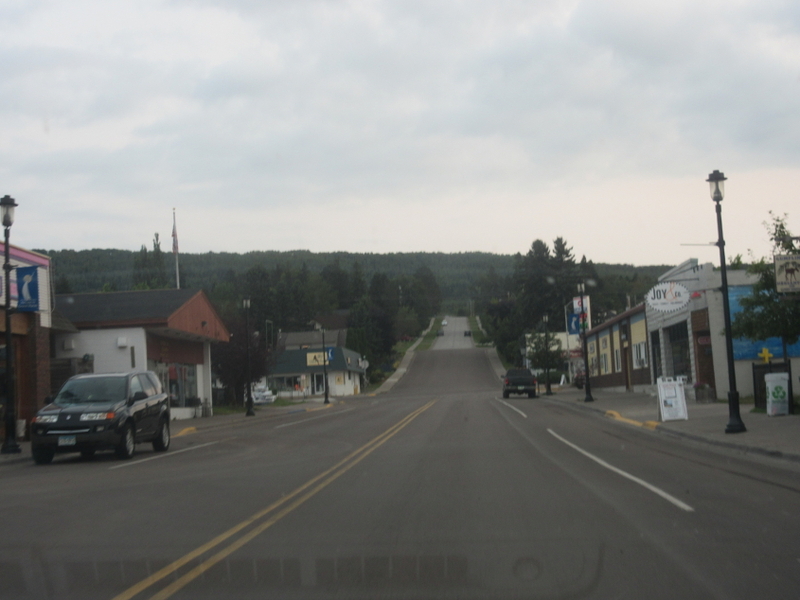 First Avenue West in Grand Marais. 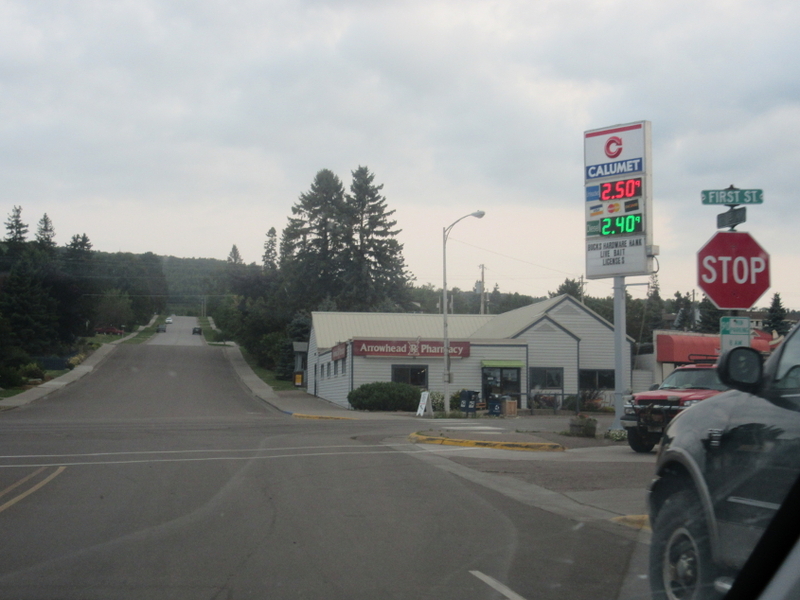 At 1st Street, MN 61 goes off to the right on a diagonal. A more light-duty road nearing the bay. 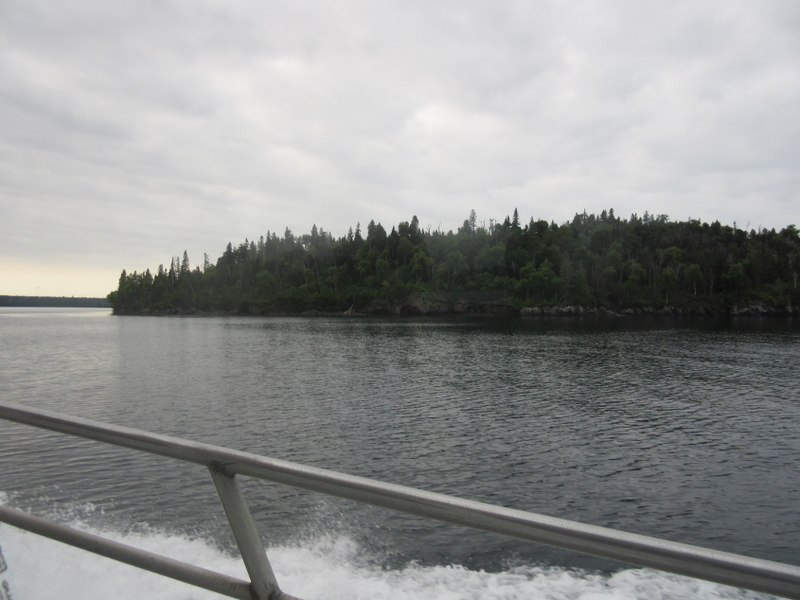 Visiting Isle Royale requires taking a passenger ferry across Lake Superior. The park is a wilderness with no roads. 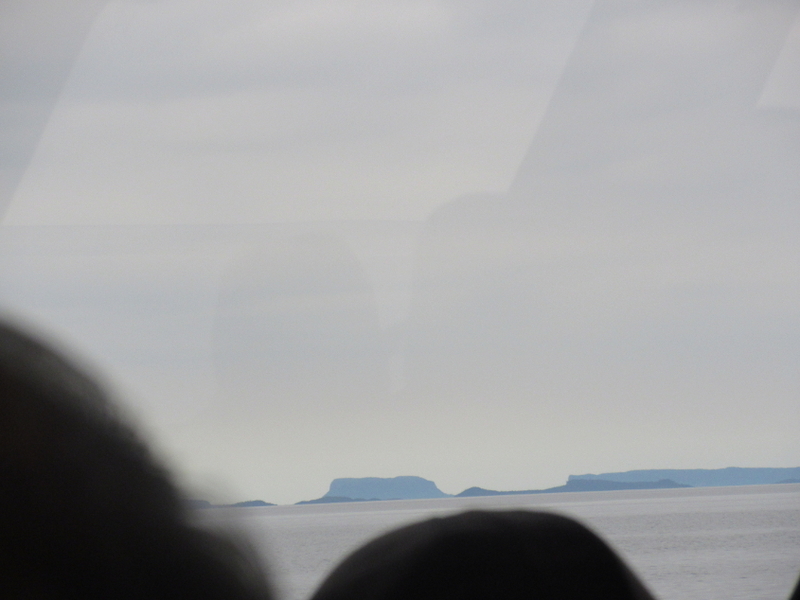 What we're looking at here is probably Grand Portage Island. 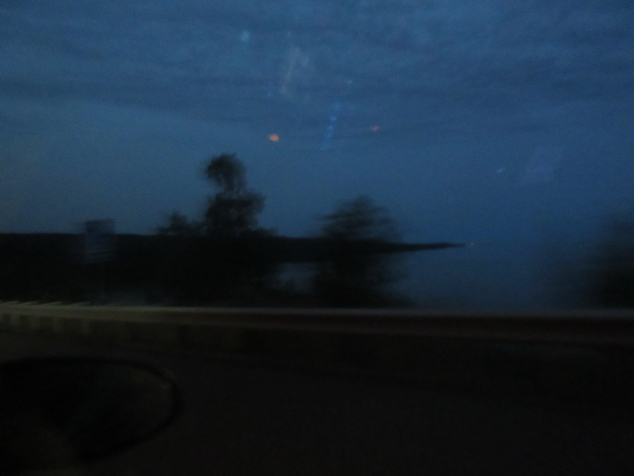 The boat approached Minnesota land again so the captain could show us this twisted old tree. And no, the captain did not say, "Arrr!" 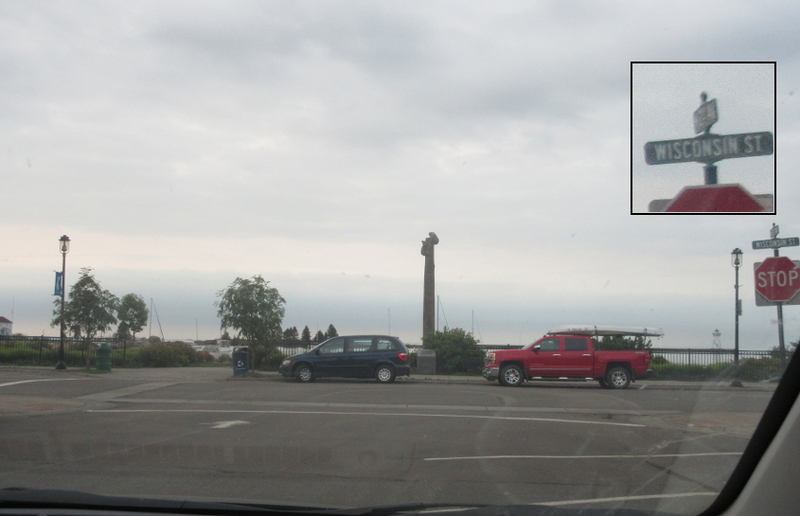 I just assumed the land we see here is in Canada, though it could be Pigeon Point, the extreme tip of Minnesota. It doesn't look like something you'd see in Minnesota though. 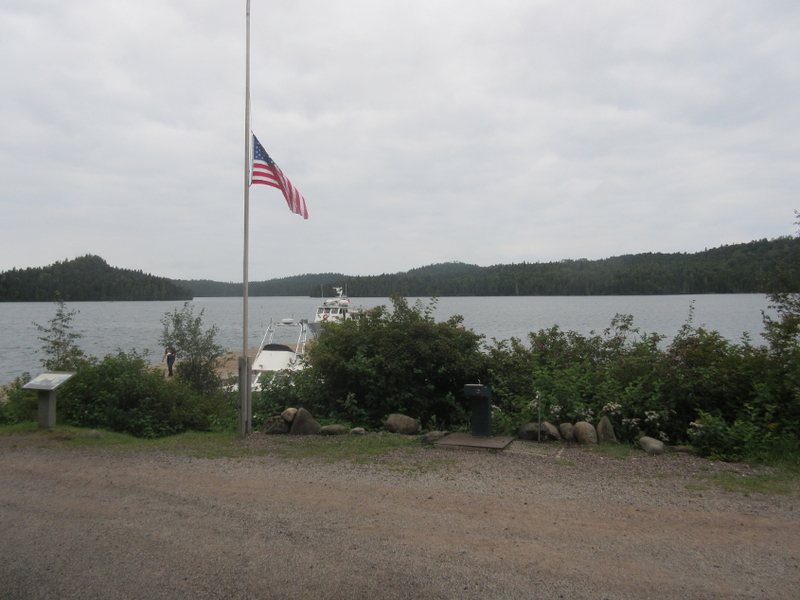 This has to be Isle Royale or maybe one of the tiny islands nearby. By now we're in Michigan. 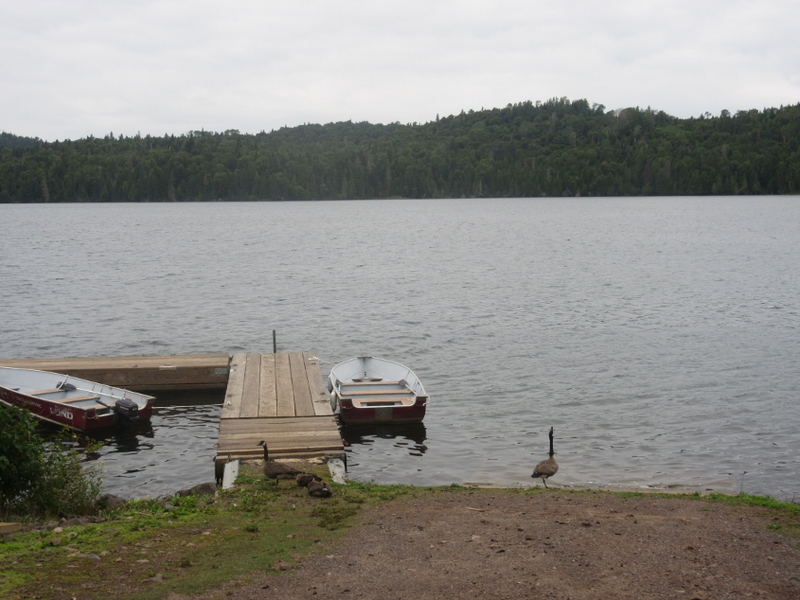 The dock at Isle Royale where the ferry unloaded. This is Washington Harbor. 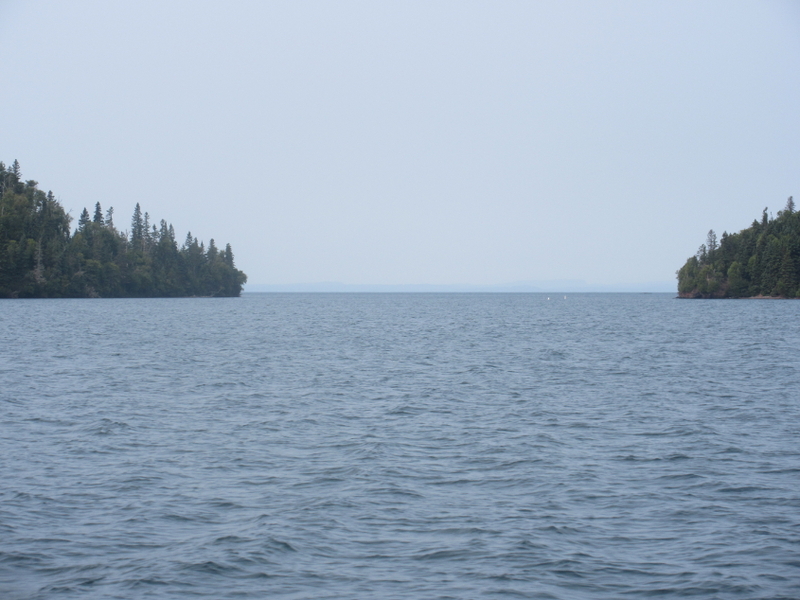 The land at left may be Beaver Island; the land at right would be a peninsula of Isle Royale. Washington Harbor again. 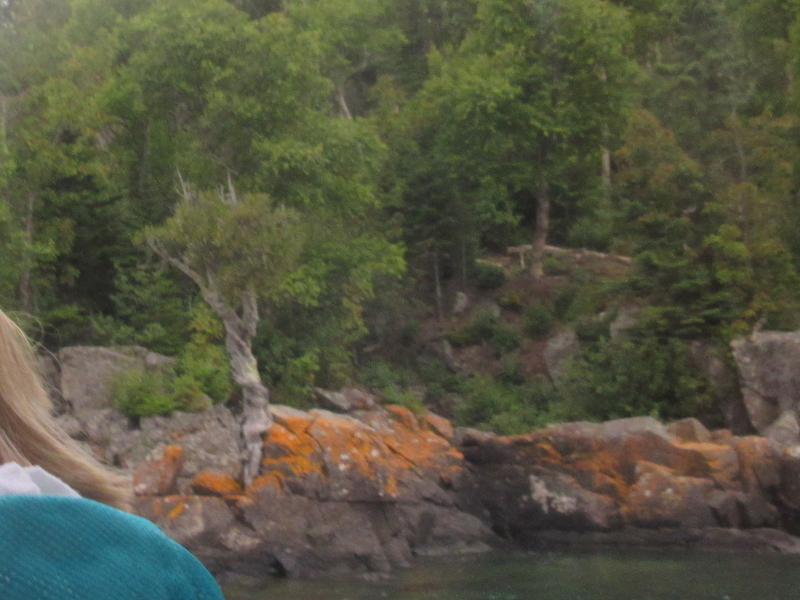 As Isle Royale is a national park, it belongs to "we, the people" as part of America's conservation heritage. "It ain't a store!" Actually, it is a store. 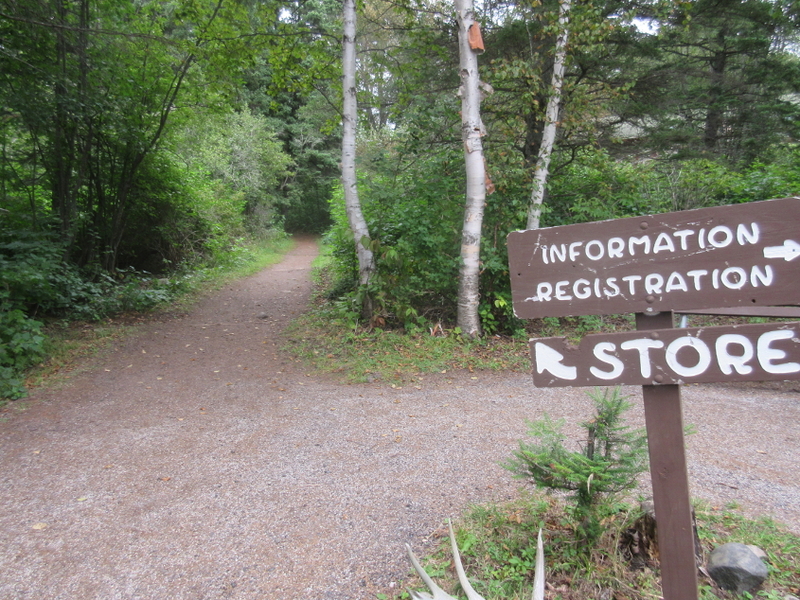 Isle Royale has a store! Can you believe that? They sold food and the like. 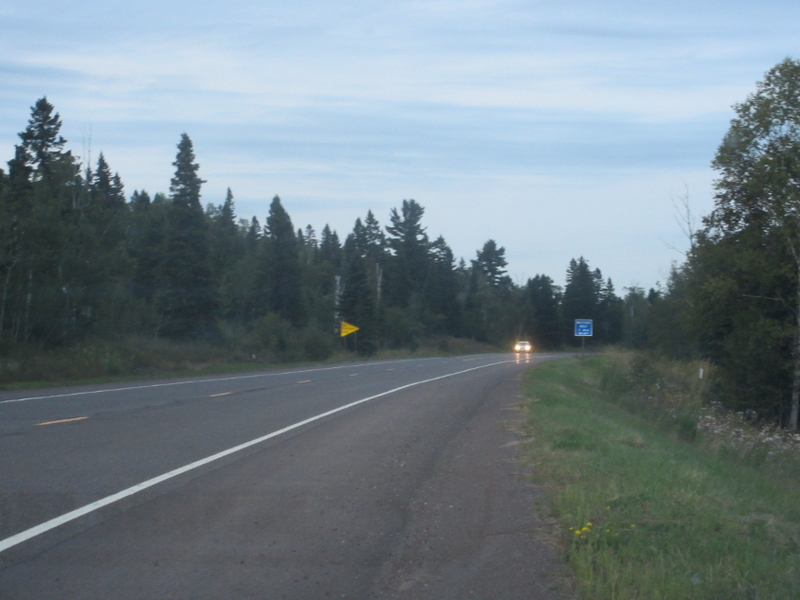 From 1875-97, Isle Royale was a separate county called Isle Royale County, and actually had some minor settlement. 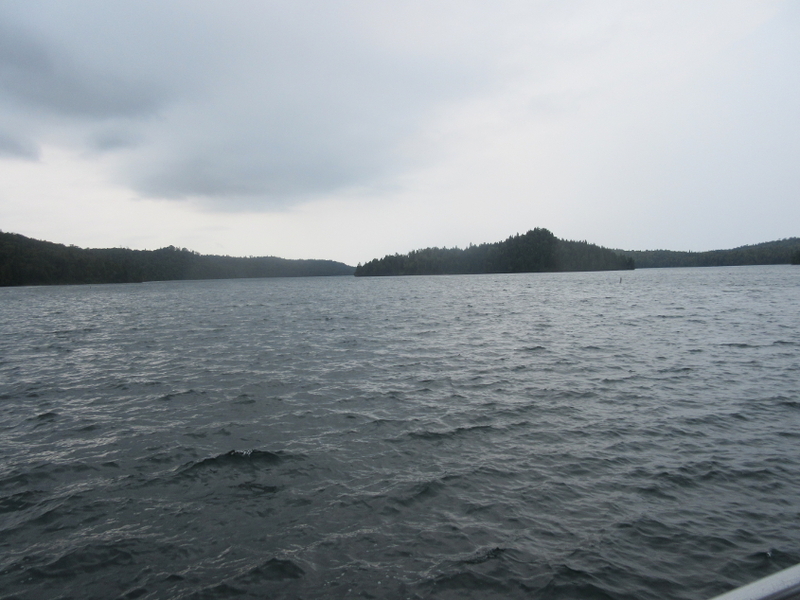 The island was even surveyed into standard mile-wide sections. 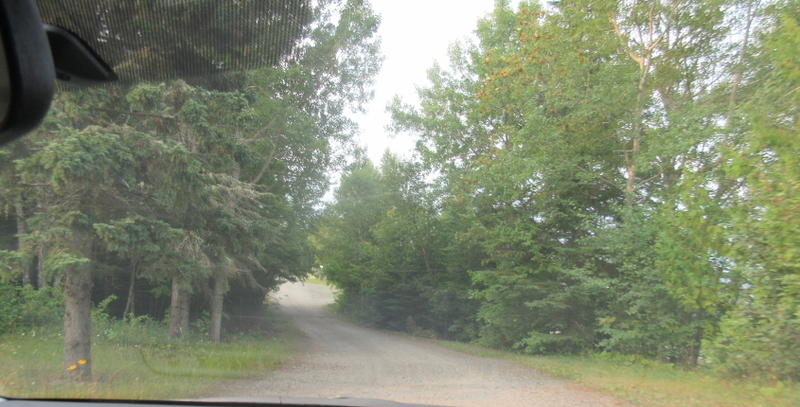 What you see here is just a trail, since the island now has no settlement or roads. 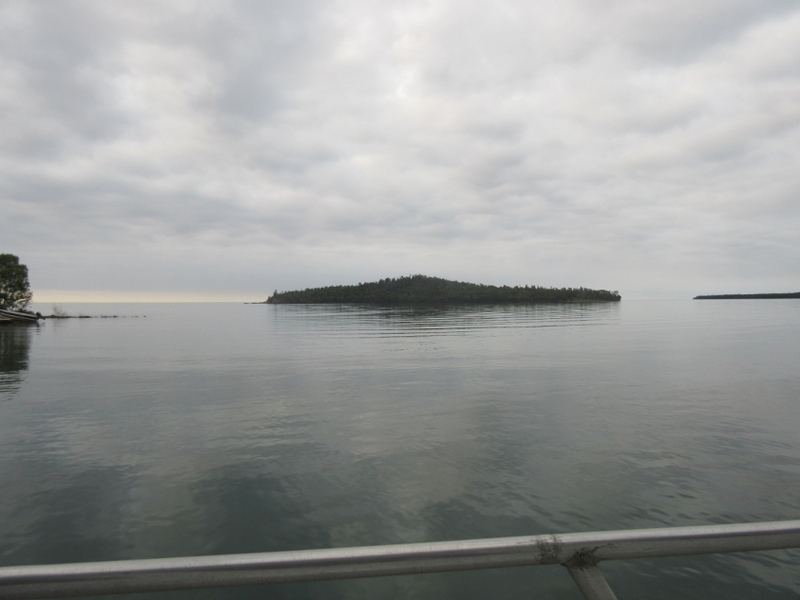 As we leave Isle Royale, this looks like Beaver Island again. This could be between Isle Royale and Thompson Island, and if so, the land way in the background would have to be Canadian.